As Mariellen pointed out in a comment on my last post, I have managed to wean myself somewhat from my computer. I have been a bit busy with my camera with 8622 photos at present and we still have a week to go in New Zealand. I sit down to write a post and while trying to decide which images to include I get lost in my photographs and you get nothing. That combined with difficulty in getting a connection at times makes it seem like I don’t care about you. Of course you know that’s not true and I will be back soon. I have so much to tell you. 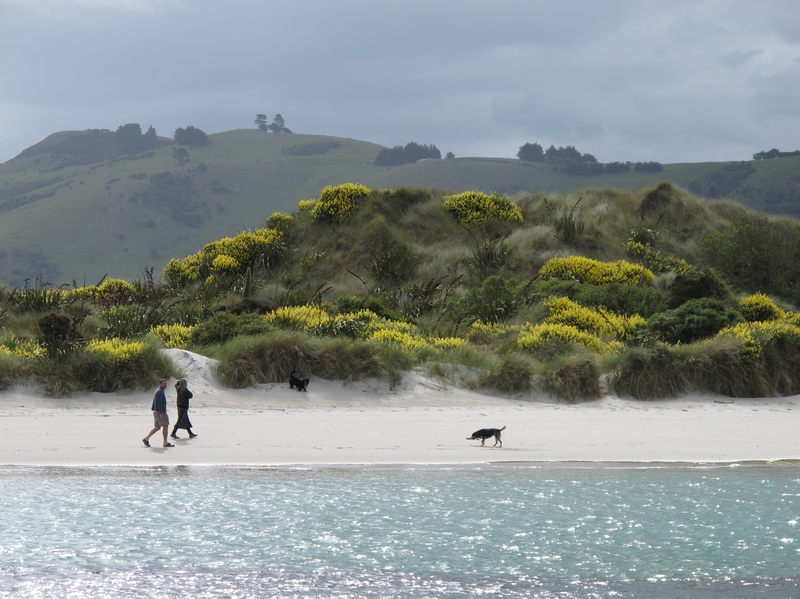 This entry was posted in Adventure, Photography, Travel and tagged Dunedin, Elizabeth Harper, Gifts Of The Journey, New Zealand. Bookmark the permalink. Just beautiful! I envy your adventures, and thank you for sharing them! Hi Elizabeth , don’t be so ridiculous , we know you care , will still be here , waiting to read and see all about your fantastic trip … YOU are on holiday … you cannot be linked to computer all the time…. I cannot believe how many photos you have to get through .. amazing. can’t wait! You are having a dream trip and we all are enjoying it through you. Hi Elizabeth! Let your eyes feast, and give us the pictures later. That’s what I’m thinking. Athough the pic above is truly gorgeous. Great to hear from you! I was wondering if a search party needed to be organized! Write when you can and enjoy your vacation..
What an amazing journey you are on. I can’t wait to hear more about it. So glad you posted but we can completely understand your actually want to vacation on your vacation. YOu are a thoughtful, gifted blogger and I for one know I am glad to catch up whenever you are ready. Merry Christmastime! What a gorgeous photo. Just enjoy your journey and don’t pressure yourself to post. This is a rare time in your life. Savor every moment. We’ll still be here. Oh WOW! These pictures are amazing!! Can’t wait to see more. NZ is on my bucket list! THIS photo is amazing. I can’t wait to see more of those 8000 plus. that’s a lot of photos and i know everyone is spectacular.